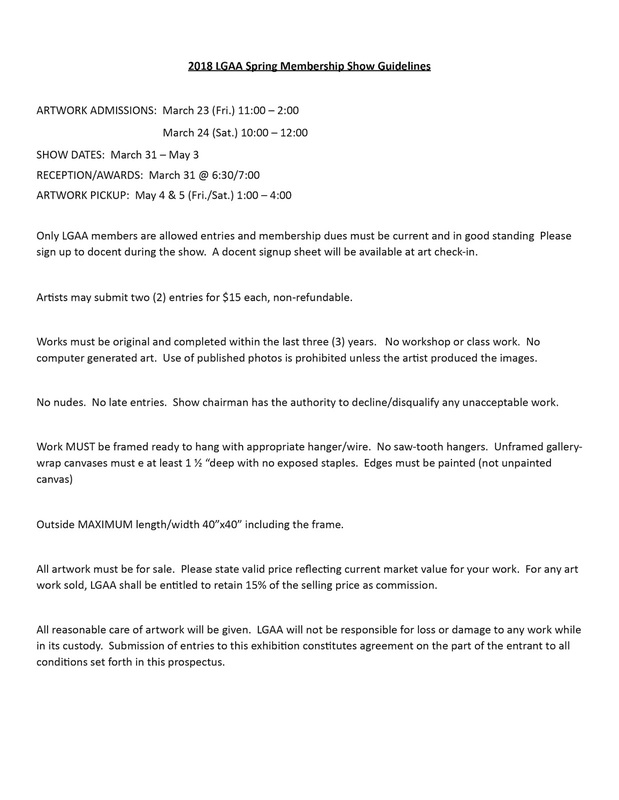 Only LGAA members are allowed entries and membership dues must be current and in good standing Please sign up to docent during the show. 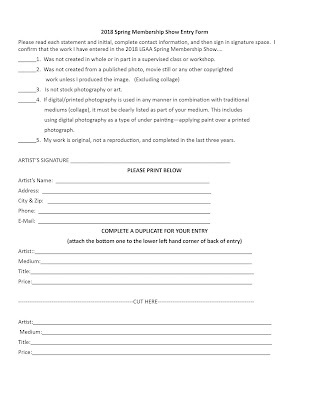 A docent signup sheet will be available at art check-in. 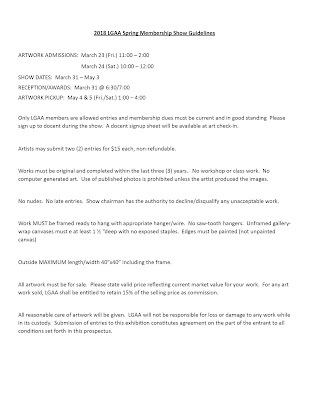 Artists may submit two (2) entries for $15 each, non-refundable. Works must be original and completed within the last three (3) years. No workshop or class work. No computer generated art. 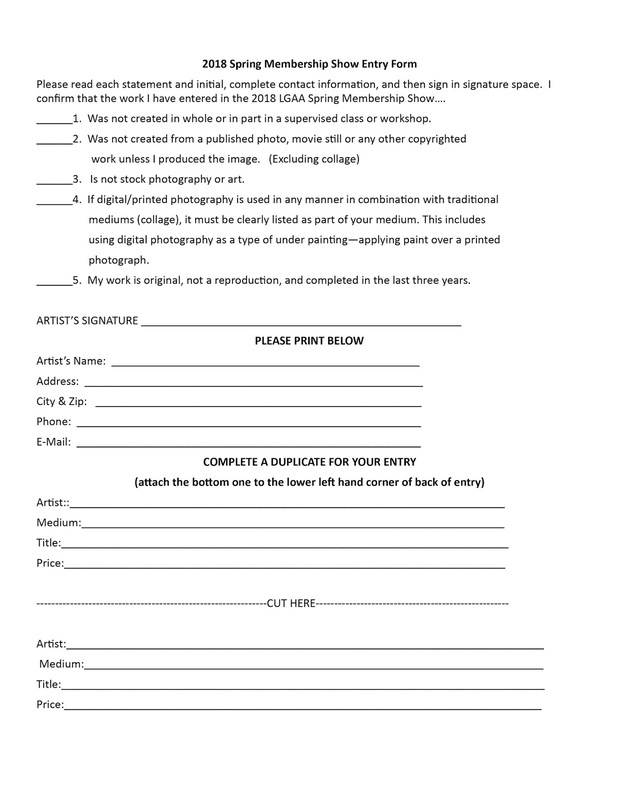 Use of published photos is prohibited unless the artist produced the images. No nudes. No late entries. Show chairman has the authority to decline/disqualify any unacceptable work. Outside MAXIMUM length/width 40”x40” including the frame. All artwork must be for sale.